Ava Peera is from Grand Blanc, MI and is a member of the MSUCOM class of 2020. 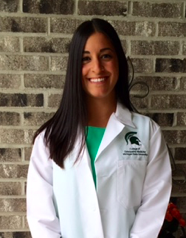 She graduated from Michigan State University in 2015, where she majored in Human Biology and minored in Spanish. She will be the MUC Spanish Coordinator for the 2017 Peru trip.